An independent regulatory agency, we oversee vital components of the secondary mortgage market including Fannie Mae, Freddie Mac and the Federal Home Loan Banks. Our goal is to keep them, and the overall housing finance system, healthy. The Federal Housing Finance Agency (FHFA) was established by the Housing and Economic Recovery Act of 2008 (HERA) and is responsible for the effective supervision, regulation, and housing mission oversight of Fannie Mae, Freddie Mac (the Enterprises) and the Federal Home Loan Bank System, which includes the 11 Federal Home Loan Banks (FHLBanks) and the Office of Finance. 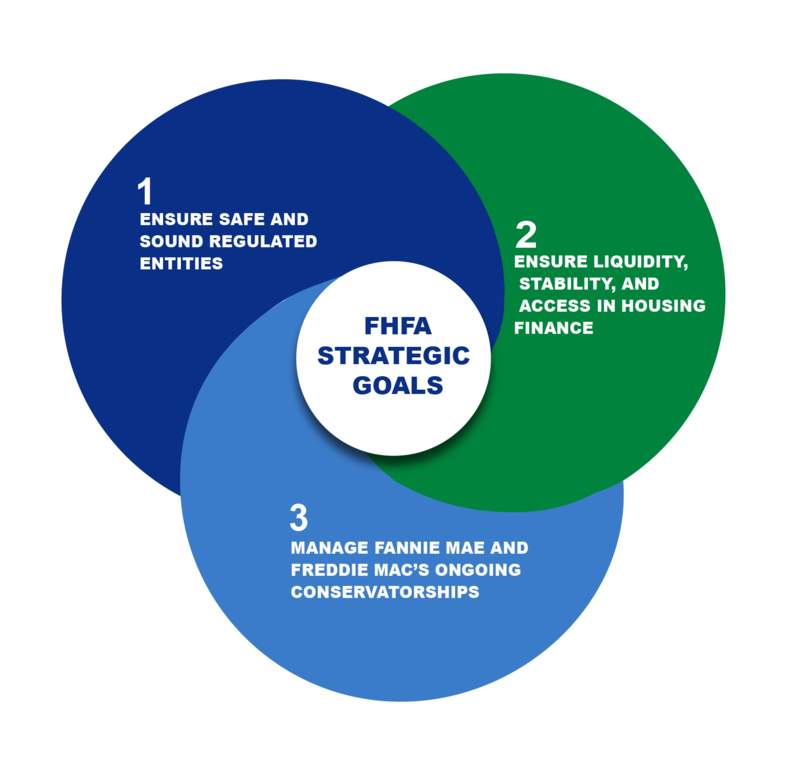 Since 2008, FHFA has also served as conservator of Fannie Mae and Freddie Mac. Ensure that the housing government sponsored enterprises operate in a safe and sound manner so that they serve as a reliable source of liquidity and funding for housing finance and community investment. A reliable, stable, and liquid housing finance system. Aspire to excel in every aspect of our work. Promote diversity in our employment and business practices, and those of our regulated entities. 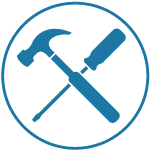 Improving access to credit for mortgage-ready borrowers with limited English proficiency (LEP) by developing a multi-year language access plan addressing major obstacles in the mortgage process for non-English speakers. Guiding industry adoption of the new Uniform Mortgage-Backed Security planned for June 2019. 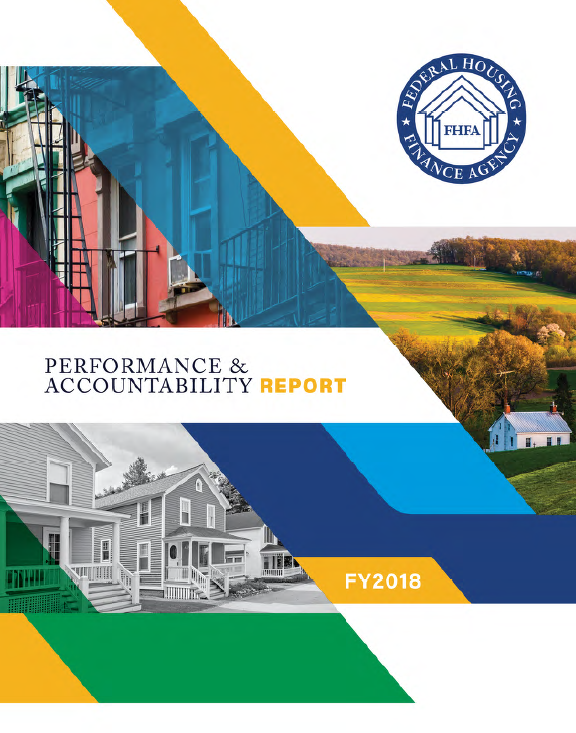 Working with Fannie Mae and Freddie Mac to serve the manufactured housing, affordable housing preservation, and rural housing markets through the Duty to Serve program. Increasing transparency in, and understanding of, the housing finance market by distributing a variety of data sets including an indicator of single-family house price trends called the House Price Index, as well as the Monthly Interest Rate Survey, the Public Use Databases, Conforming Loan Limits, and the Federal Home Loan Bank Members. Introduced the Mortgage Assistance Application to simplify and align documentation requirements for distressed borrowers. Issued a proposed regulation on the FHLBanks Affordable Housing Program which provides the banks additional authority to allocate their AHP funds. Expanded the Neighborhood Stabilization Initiative to 30 markets in 16 states. Issued a proposed regulation on capital requirements for Fannie Mae and Freddie Mac which implements a new framework for risk-based capital requirements, and a revised minimum leverage capital requirement. Continued oversight of Enterprise Credit Risk Transfer (CRT) programs which, through the end of 2017, have transferred a portion of credit risk on approximately $2.1 trillion of unpaid principal balance. Together, Fannie Mae, Freddie Mac and the FHLBank System provide more than $6.2 trillion in funding for the U.S. mortgage markets and financial institutions. In a safe and sound manner, maintain credit availability and foreclosure prevention activities for new and refinanced mortgages to foster liquid, efficient, competitive, and resilient national housing finance markets. 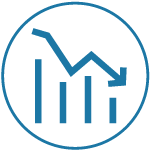 Decrease taxpayer risk through increasing the role of private capital in the mortgage market. 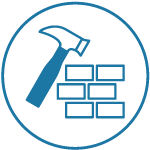 Construct a new single-family securitization infrastructure for use by the Enterprises and adaptable for use by other participants in the secondary market in the future. The Federal Home Loan Bank System was created by the Federal Home Loan Bank Act as a government sponsored enterprise to support mortgage lending and related community investment. The FHLBank System provides its members (thrift institutions, commercial banks, credit unions, insurance companies, and certified community development financial institutions) with a source of funding for mortgages and asset-liability management, liquidity for their short-term needs, and additional funds for housing finance and community development. Approximately 80 percent of U.S. lending institutions rely on the FHLBanks. FHFA conducts on-site annual examinations and off-site monitoring of the FHLBanks and the Office of Finance. In addition, FHFA oversees the FHLBanks' affordable housing and community investment activities. This includes FHLBank allocations for the Affordable Housing Program, which provides funding for affordable rental housing and down payment assistance. 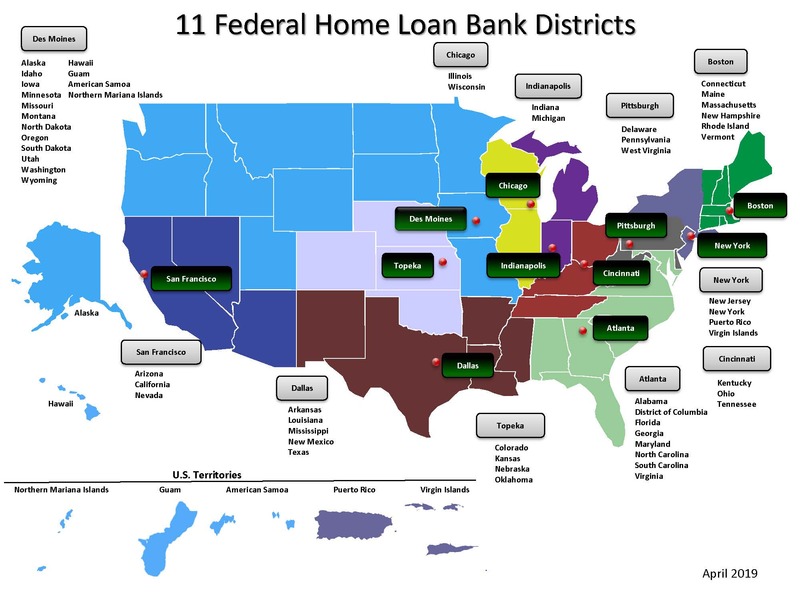 View PDF version of 11 Federal Home Loan Bank Districts map. FHFA is a member agency of the Financial Stability Oversight Council. The Council is charged with identifying risks to the financial stability of the United States; promoting market discipline; and responding to emerging risks to the stability of the United States' financial system. Download a PDF version of our At-A-Glance flyer.